Bu çalışmada, Birincil Referans Yakıtı (BRY) (% 85 izo-oktan ve % 15 n-heptan) ile çalıştırılmış homojen dolgulu sıkıştırma ile ateşlemeli (HCCI) bir motorun simülasyonu için kullanılan sıfır boyutlu (0-B) ve üç boyutlu (3-B) yazılımların performansı incelenmiştir. 0-B yazılım olarak Stokhastik Reactor Model (SRM) tekniği ile motor yanması analizleri yapabilen SRM Suit kullanılmıştır. 3-B motor yanması simülasyonları için Hesaplamalı Akışkanlar Dinamiği (HAD) simülasyonları yapabilen Ansys-Fluent programı kullanılmıştır. Her iki ticari yazılım ile HCCI motor için yapılan simülasyonlar silindir içi basınç değişimi, ısı yayılım oranı ve emisyonlar açısından incelenmiştir. BRY yakıtının yanma analizinin yapılabilmesi için Tsurushima tarafından geliştirilen 33 bileşen ve 38 reaksiyon içeren kimyasal kinetik mekanizma kullanılmıştır. Analiz sonuçları ile deneysel basınç, ısıl yayılım oranı ve emisyon değerleri kıyaslanmıştır. Analiz sonuçlarına bakıldığında her iki yazılımın birbirlerine göre avantajları ve dezavantajları olduğu görülmüştür. In this study, performance of zero and three dimensional simulations codes that used for simulate a homogenous charge compression ignition (HCCI) engine fueled with Primary Reference Fuel PRF (85% iso-octane and 15% n-heptane) were investigated. 0-D code, called as SRM Suite (Stochastic Reactor Model) which can simulate engine combustion by using stochastic reactor model technique were used. Ansys-Fluent which can simulate computational fluid dynamics (CFD) was used for 3-D engine combustion simulations. Simulations were evaluated for both commercial codes in terms of combustion, heat transfer and emissions in a HCCI engine. Chemical kinetic mechanisms which developed by Tsurushima including 33 species and 38 reactions for surrogate PRF fuel were used for combustion simulations. Analysis showed that both codes have advantages over each other. T. B. G. K. J.C.G. Andrae, «HCCI experiments with toluene reference fuels modeled by a semidetailed chemical kinetic model,» Combustion and Flame, cilt 155, no. 4, pp. 696-712, 2008. «CMCL Innovations,» [Çevrimiçi]. Available: http://www.cmclinnovations.com/ . [%1 tarihinde erişilmiştir22 01 2015]. P. M. F. M. M. C. B. J. Markus Kraft, « Investigation of combustion emissions in a homogeneous charge compression injection engine: Measurements and a new computational model,» Proceedings of the Combustion Institute, cilt 28, no. 1, pp. 1195-1201, 2000. N. Y. G. C. H. S. S. Usame Demir, «Evaluation of zero dimensional codes in simulating IC engines using primary reference fuel,» Applied Thermal Engineering, cilt 76, pp. 18-24, 2015. F. M. M. K. Peter Maigaard, «HOMOGENEOUS CHARGE COMPRESSION IGNITION ENGINE: A SIMULATION STUDY ON THE EFFECTS OF INHOMOGENEITIES,» cilt 34, no. 2, pp. 63-70, 2000. M. B. M. K. F. M. A Bhave, «Analysis of a natural gas fuelled homogeneous charge compression ignition engine with exhaust gas recirculation using a stochastic reactor model,» International Journal of Engine Research, cilt 5, no. 1, pp. 93-104, 2004. S. M. K. A. B. F. M. J. H. M. a. R. W. D. Mosbach, «Simulating a homogenous charge compression ignition engine fuelled with a DEE/EtOH blend,» SAE Technical Paper, no. 2006-01-1362, 2006. 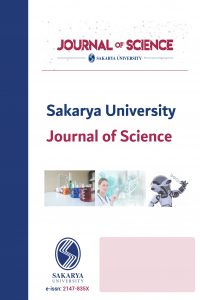 A. Turkcan, A. N. Ozsezen, M. Canakci, G. Coskun, H. S. Soyhan ve U. Demir, «An Experimental And Modeling Study To Investigate Effects Of Two-Stage Direct Injection Variations On HCCI Combustion,» Combustion Science And Technology , cilt 187, no. 4, pp. 642-658, 2015. H. S. M. K. A. B. F. M. Z. W. a. J.-X. W. S. Mosbach, «Dual injection HCCI engine simulation using a stochastic reactor model,» International Journal of Engine Research, cilt 8, no. 1, pp. 41-50, 2007. S. M. a. M. K. A. M. Aldawood, «HCCI combustion phasing transient control by hydrogen-rich gas: Investigation using a fast detailed-chemistry full-cycle model,» SAE TechicalPaper, Cilt %1 / %22009-01-1134, 2009. S. M. M. K. H. W. a. N. C. J. E. Etheridge, «A detailed chemistry multi-cycle simulation of a gasoline fueled HCCI engine operated with NVO,» SAE Technical Paper, no. 2009-01-0130, 2009. A. M. A. a. M. K. S. Mosbach, «Real-time evaluation of a detailed chemistry HCCI engine model using a tabulation technique,» Combustion Science and Technology, cilt 180, no. 7, pp. 1263-1277, 2008. M. S. C. A. R. M. K. H. R. Z. S. K. a. K.-O. K. S. Mosbach, «Towards a detailed soot model for internal combustion engines,» Combustion and Flame, cilt 156, no. 6, pp. 1156-1165, 2009. H. S. S. M. M. K. a. A. B. L. Cao, «Studying the influence of direct injection on PCCI combustion and emissions at engine idle condition using two dimensional CFD and stochastic reactor model,» SAE Technical Paper, no. 2008-01-0021, 2008. G. A. B. M. Youseﬁa A., «Comparison study on combustion characteristics and emissions of a homogeneous charge compression ignition (HCCI) engine with and without pre-combustion chamber,» Energy Conversion and Management , cilt 100, pp. 232-241, 2015. S. N. P. K. R. Jafarmadar, «Multidimensional modeling of the effect of Exhaust Gas Recirculation (EGR) on exergy terms in an HCCI engine fueled with a mixture of natural gas and diesel,» Energy Conversion and Management, cilt 105, pp. 498-508, 2015. M. J. J. B. M. T. M. A. B. L. Z. L. H. S. M. A. B. J. G. Coskun, «Analysis of in-cylinder H2O2 and HO2 distributions in an HCCI engine – Comparison of laser-diagnostic results with CFD and SRM simulations,» Combustion and Flame, cilt 162, no. 9, pp. 3131-3139, 2015. W. Y. ,. L. D. Zhen X., «A new improvement on a chemical kinetic model of primary reference fuel for multi-dimensional CFD simulation,» Energy Conversion and Management, cilt 109, pp. 113-121, 2016. F. D. A. S. D. M. E.-L. F. F. D. Hessel RP, «Modeling iso-octane HCCI using CFD with multi-zone detailed chemistry; comparison to detailed speciation data over a range of lean equivalence ratios,» SAE Technical Paper, no. 2008-01-0047, 2008. T. Tsurushima, «A new skeletal PRF kinetic model for HCCI combustion,» Proceedings of the Combustion Institute, cilt 32, pp. 2835-2841, 2009. P. Adriaans ve D. Zantinge, Data Mining, Boston, MA: Addison Wesley Longman Publishing, 1997.